I've not covered much Doom or even Funeral Doom for that matter. That changes with this review however, as I try to dig deeper into the mire of the many metal sub genre's, to unearth some extreme gems. Profetus are Doom band from Tampere, Finland, who combine elements of Funeral Doom into their sound and have created this four track release that spans almost 60 minutes. The record has been releases in various formats by Weird Truth Productions, Rusty Crowbar Records and Contagion Releasing. The first thing that hits you on opener, When Autumn Cries A Fiery Canticle, is the sound of the organ's long, drawn-out notes and the spoken word vocals of A.Makinen. The music is slow to build, with the organ dying away and revealing quiet guitars that build to more of a crescendo along with the drums. At this point, whispered, low vocals begin to fill the airwaves, complemented by the instrumentation. The sound of the twin guitars make the overall sound more powerful, only being punctuated by moments of quiet solitude and brief ringing feedback. a leaning towards extreme metal is in the deep, growled vocals that add a sinister feel to Profetus's sound. As the song winds on, the sound level increases, as the guitars and organ are layered more and more subtle melodies creep into the music. As the organ heralds the end of the first passage, my first impression is that this is something special. The Watchers Dusk is more if an instrumental affair. The sound of the organ and the cymbal at times is calming, before the odd growl permeates the music and then dies again. 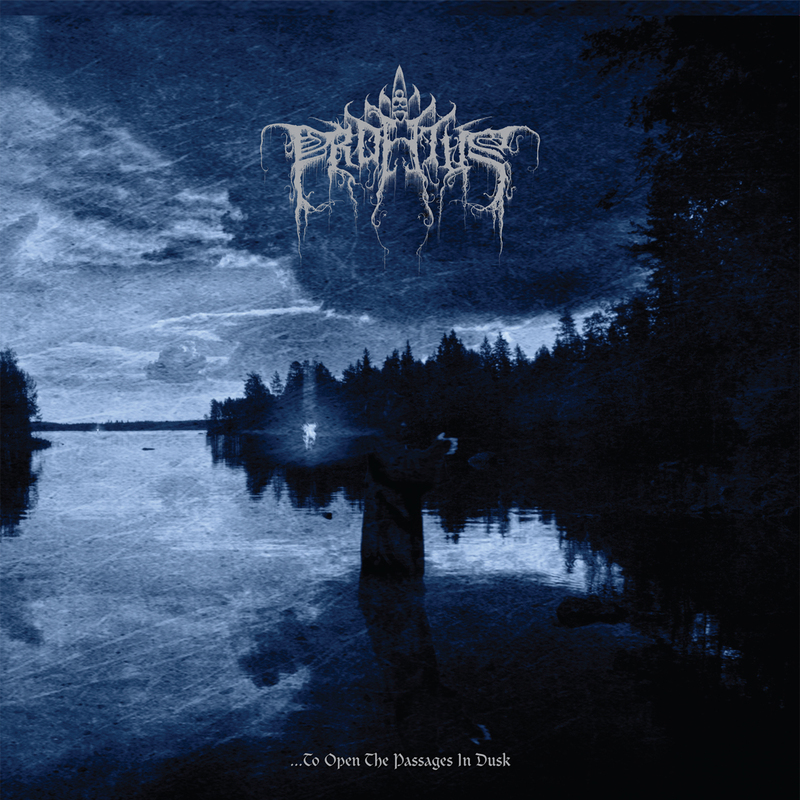 Profetus's music follows a very prescribed formula, so to those not familiar with Doom or Funeral Doom for that matter, all the songs may sound similar, but the songs do follow a path or theme, and each have their own subtle differences and variations. The Shoreless builds into a wall of sound from the start. It's sound grander and has more of an impact. The thing that amazes me is the incredible focus of the band to not only create such an epic body of songs for this release, but that they do so without compromising their mysterious image or influences. Profetus start to flex their muscles on this track, with some nice drum fills adding variation to the slow burn of the song. Burn, Lanterns of Eve is the final piece of despair ravaged Doom from Profetus, and as a result, it sounds even more evil than those that have come before it. This has a strange, euphoric edge to it, like the feeling you get when you reach a point of ecstasy and for a brief moment, you reach another world. This is the first opportunity to hear some melodic, clean Doom inspired singing, which is both haunting and majestic at the same time. As a first introduction to Profetus, this record has surprised me. It held my attention throughout with great skill and bombast and it made me want to seek out and listen to similar bands. Like my new found appreciation for Black metal, this record has given me a new found appreciation for Doom and it's sub-genres. You can find Profetus on Facebook at http://www.facebook.com/SaturnineDoom and on Myspace at http://www.myspace.com/profetus, where you can listen to the whole of this record. You can purchase it on vinyl from Rusty Crowbar Records at http://rustycrowbar.com/, from Contagion Releasing at http://shop.contagionreleasing.com/ and on CD from Japanese label Weird Truth Productions at http://www.weirdtruth.jp/home.